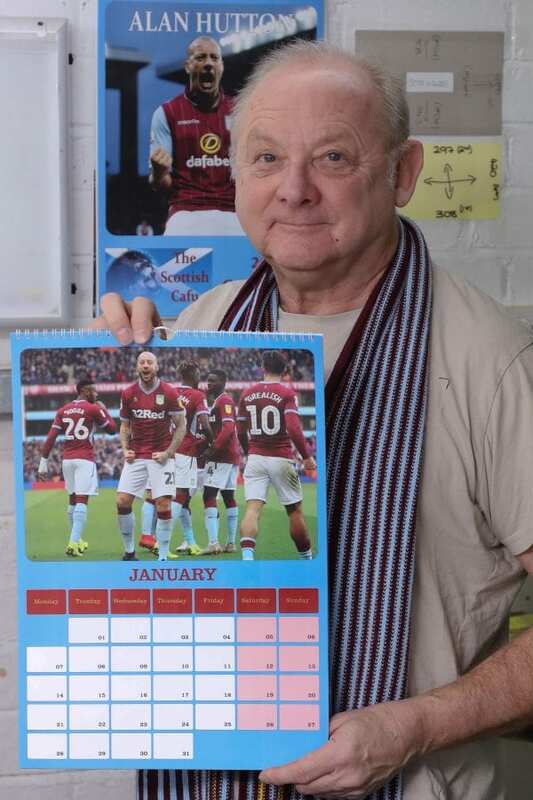 Wacky Kevin Beresford has produced possibly Britain’s strangest football calendar – dedicated entirely to Aston Villa’s Scottish international full-back ALAN HUTTON. 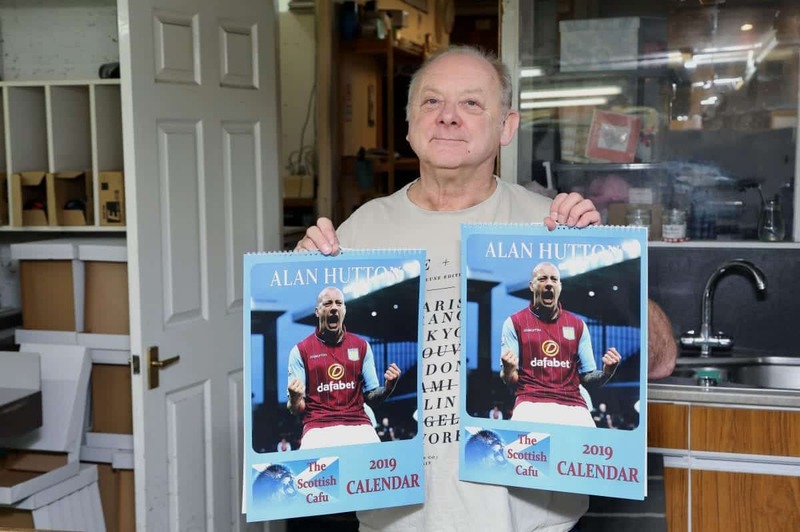 The 66-year-old retired printer has selected 12 of his favourite photographs of the Championship player for the bizarre 2019 calendar. Kevin said he decided to focus on a “no-nonsense, blood-and-guts-style” defender to make a change from the usual footballing pin-ups such as Ronaldo and Beckham. He has made 100 copies- but is prepared to print more if there’s demand- and each month features “stunning, gritty shots of the player” in action for club and country. Kevin said he was inspired to create the calendar devoted to the 33-year-old defender following his wonder goal against Birmingham City in the Second City derby. Hutton, who is affectionately known among Villa fans as the ‘Scottish Cafu’, helped his team to a 4-2 victory against their arch rivals on Sunday afternoon (25/11). 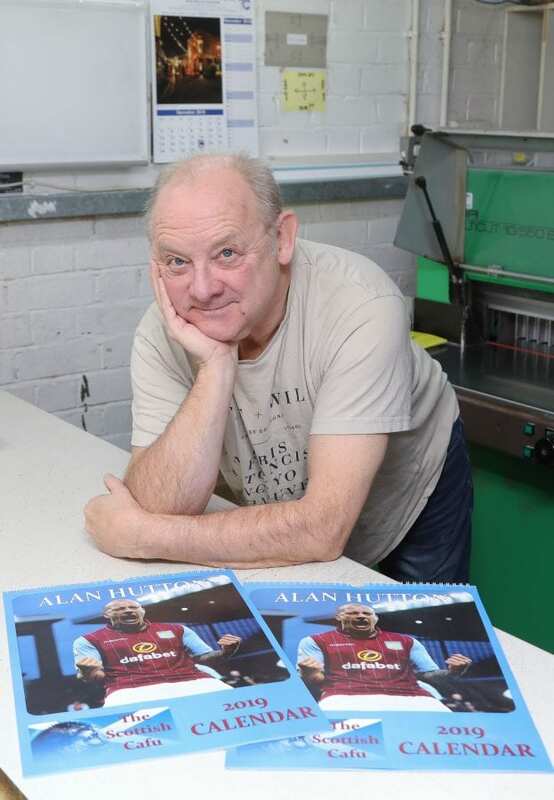 Kevin now hopes Villa and Scotland fans will be clambering to snap up the ‘Alan Hutton, The Scottish Cafu 2019’ calendar for Christmas from his online store for £8.99. Dad-of-five Kevin, of Redditch, Worcs., said: “Normally footballers that boast their own calendars are glamorous players with perfect haircuts like Ronaldo or Beckham. “So I thought why not make one of a bald Scottish right back who is more of a gritty unsung hero and and a blood-and-guts type of player. “He’s done amazingly well to battle his way back into the team over the past few years and the Villa fans love him. I hope the Scotland supporters do as well. Kevin, a sell-confessed “dull man”, previously founded the Roundabout Appreciation Society and scours the globe for his favourite traffic islands. But as an Aston Villa fan himself, Kevin said he wanted to commemorate the derby victory against Birmingham City in the only way he knew how. He added: “He’s a cult hero and will go down in Villa folklore after his goal against Blues.